As a big baseball fan, I’m always intrigued by the annual debate that ensues as the Baseball Writers Association of America names its selections for new inductees into Baseball’s Hall of Fame. Considering that 18,000+ men have played the game at its highest level since its founding in 1869, only a few hundred have been voted to be its best-ever. What an honor that must be. It guarantees that those few players will be discussed forever at Cooperstown, where the Hall of Fame is located, and in books and other places. It got me to thinking about the Hall of Fame for books. Why isn’t there one? First, the task to choose what is the best book in a given year can be challenging enough, let alone for the decade, century, or of all time. Simply, there are too many choices. Even the contemporary awards and competing best-seller lists differ on what is great or popular. Second, what would be the criteria? How do you compare one genre to another or one era to another? 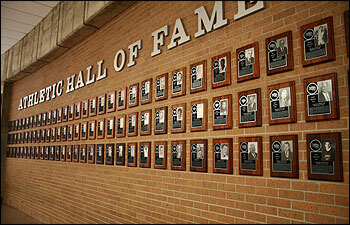 Third, how many would fill the Hall of Fame before the honor gets diluted by an overwhelming number of books or authors? Fourth, will it be limited to books published only in America or only English Language or only by a traditional publisher? Fifth, who or what would decide on who or what qualifies, and by what standards would they elect someone? It would cause a great debate to have a Publishing Hall of Fame – and an excellent way to promote the written word. On the other hand, books are not athletes. They may compete for attention, reviews and sales, but they are submitted for everyone’s consideration, to be taken as important to the life of that particular reader. Books impact individuals in varying degrees, not because one book is more well-written, but because each reader interacts with a book differently. Depending on how old you are, how many books you’ve read, and what type of ideas or information you’ve been exposed to, you may think a book is better than it really is, simply because of the stage of your intellectual, emotional and physical evolution. Some may say the Hall of Fame for Books exists in each of our living rooms, based on what sits on our shelves or what is stored on our e-readers. Others will say bookstores are a living Hall of Fame- if a book still is seen as valuable, it will be sold. Libraries store many books and could be seen as being more selective than stores. Schools have reading lists and books that make up their curriculum, so those, too, have an informed vote on what gets handed down to the next generation. Still, it’s hard to believe there are so many different Hall of Fames out there, yet not one dedicated to books and publishing. One would think the major forces in the industry would get behind a means to not only honor the world they love but to seize an opportunity to promote their books and sell them in the gift shop. There is no hall of fame for writers, books or publishers. There should be a place where all can go to applaud the efforts of those who have contributed to the publishing world –editors, publicists, publishers, distributors, printers, marketers, cover designers, literary agents, acquisition editors, book packagers, book shepherds, and of course the authors! For now, the Book Publishing Hall of Fame remains a dream and resides in the minds of each of those who care about books. Maybe one day, these thoughts will manifest into a physical building and home to all who value words, ideas and information. This entry was posted in publishing and tagged authors, book hall of fame, book publicity, brian feinblum, hall of fame, publishing, publishing hall of fame, Writing. Bookmark the permalink.